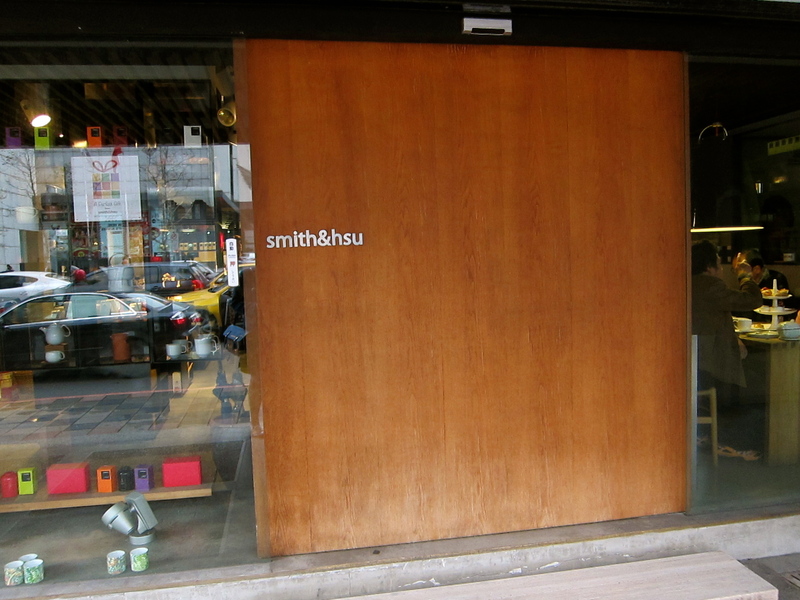 If you’re set on having afternoon tea in Taipei, Smith & Hsu is a good way to get a local experience. There are many large chain hotels that offer afternoon tea in their lobbies, but I opted for something more local. After checking out their review on the blog Hungry Girl inTaipei, which is basically the food bible for all things Taipei, I was curious to try the soft moist scones of Smith & Hsu. Although the place serves traditional western style afternoon tea, the interior and décor is very modern and Asian influences. The dark wooden door and black cabinets with color coordinated tea sets had a posh and modern tone. Instead of selecting tea form a menu with ten options, we were handed a wooden box filled with over 80 small glass jars of tea leaves. After sniffing all of them, we selected an aromatic vanilla tea, and the season Orange tea. Both were savory and delicious. 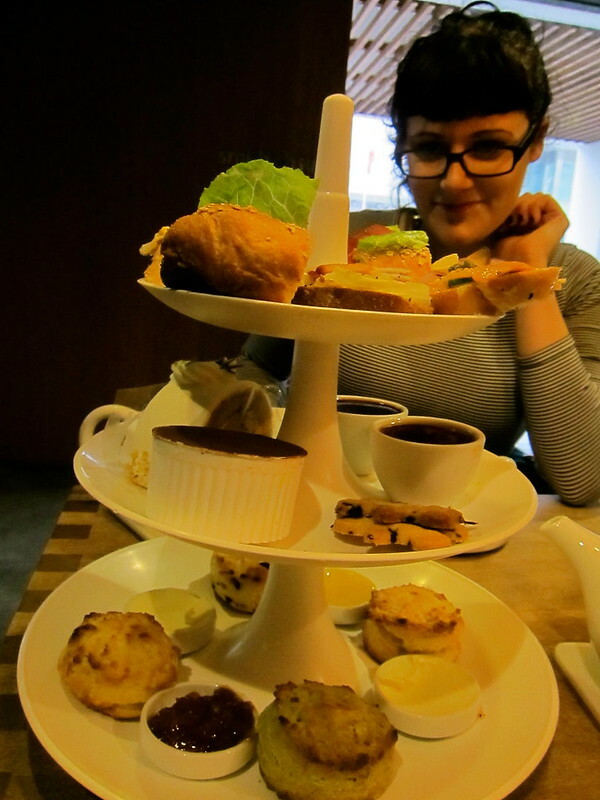 Our food arrived afterwards, and we were treated to a delight of finger sandwiches. Sweet pastries that were just the right ratios or size and sweetness. We concluded with four scones, one of each flavor, including the season green-tea scone. Each one was better than the last, and as usual we left the tea feeling full all day. I’ve had afternoon tea all over the world, and although this place doesn’t have the ambiance of the Burj Khalifa, or the prestige of f the Peninsula, I would rate this as one of the best afternoon teas I have attended, if anything for the lavish tea selection and the ability to smell before selecting.